Sunny days in stripes! This midi is a must have. Full length buttons down the front and an adjustable tie waist. 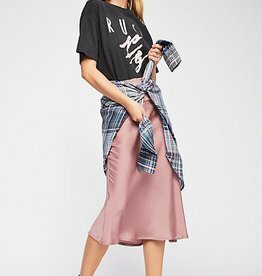 Cut on the bias, this drapey midi skirt features a high rise waist and a subtle sheen. The Paradise Cove Midi Dress is another elevated wardrobe piece from our striped linen collection. 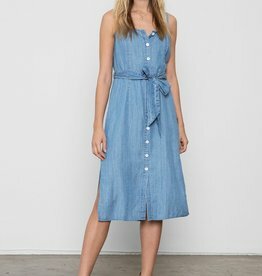 It features a self tie belt, smocked back and button down front.